The northern approach to the M-231 Grand River bridge. The piece of heavy machinery in the middle distance is sitting on the non-motorized path which runs along the west side of the bridge. ©2015 Christopher J. Bessert, All Rights Reserved. 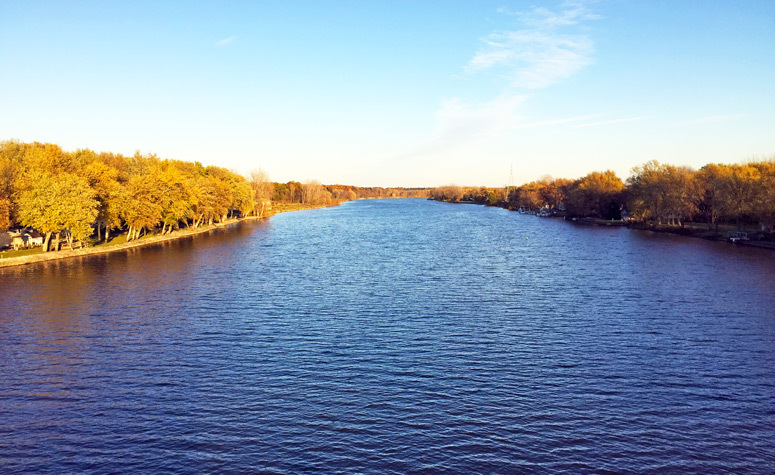 On the M-231 Grand River bridge facing southerly. The portable toilet sitting on the right shoulder in middle distance is one of the few remaining items left to be removed from the construction phase. ©2015 Christopher J. Bessert, All Rights Reserved. 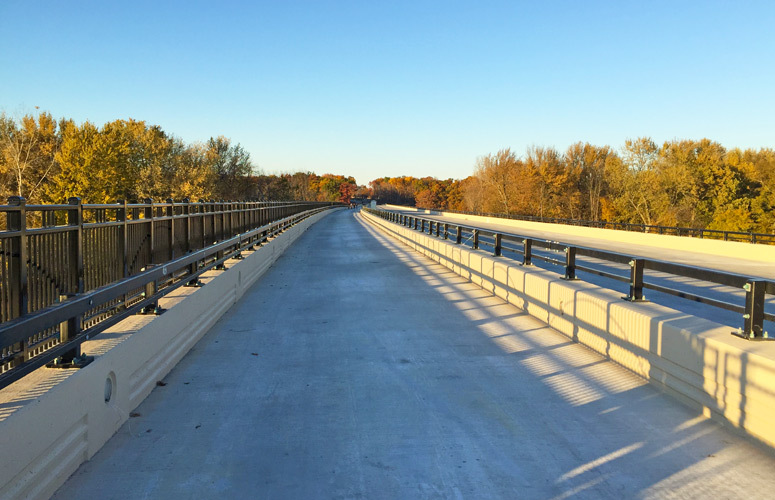 Part of the non-motorized path on the M-231 Grand River bridge includes a "bump-out" for pausing to view the river below. This view looking north. ©2015 Christopher J. Bessert, All Rights Reserved. 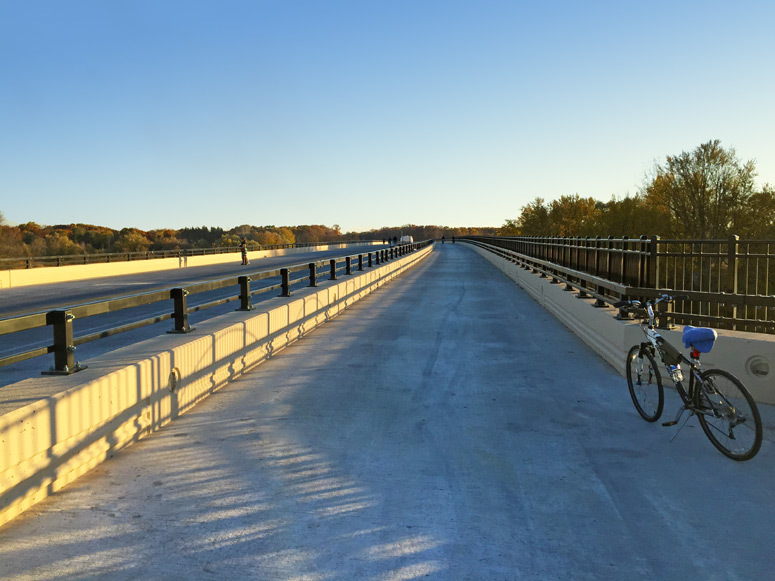 The view looking northerly along the Grand River bridge non-motorized path on M-213. The path is fully lit at night; note the lights built into the lower portion of the outer bridge railing at left. ©2015 Christopher J. Bessert, All Rights Reserved. 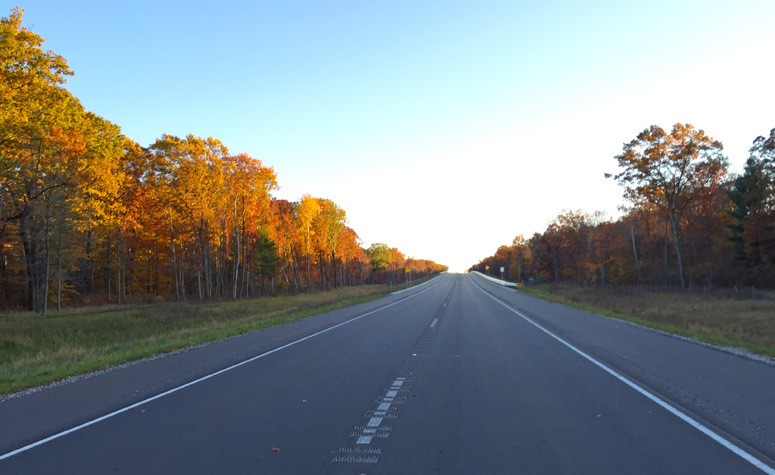 The view looking southerly along the Grand River bridge non-motorized path on M-213. 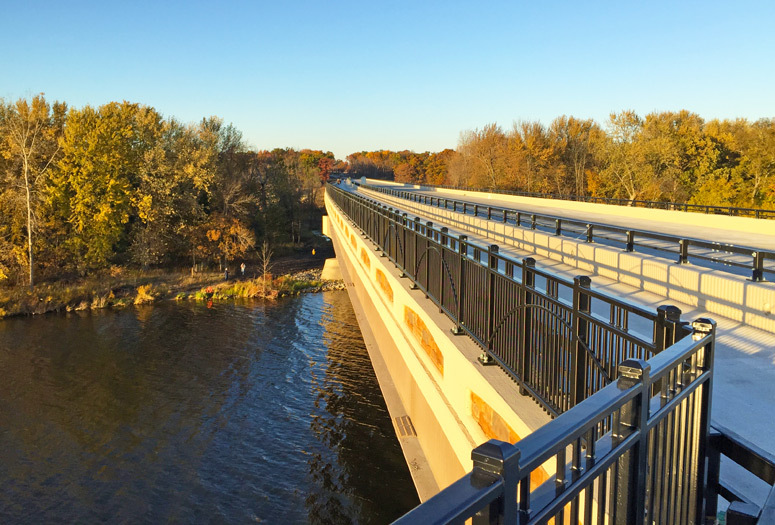 The path is fully lit at night; note the lights built into the lower portion of the outer bridge railing at right. ©2015 Christopher J. Bessert, All Rights Reserved. 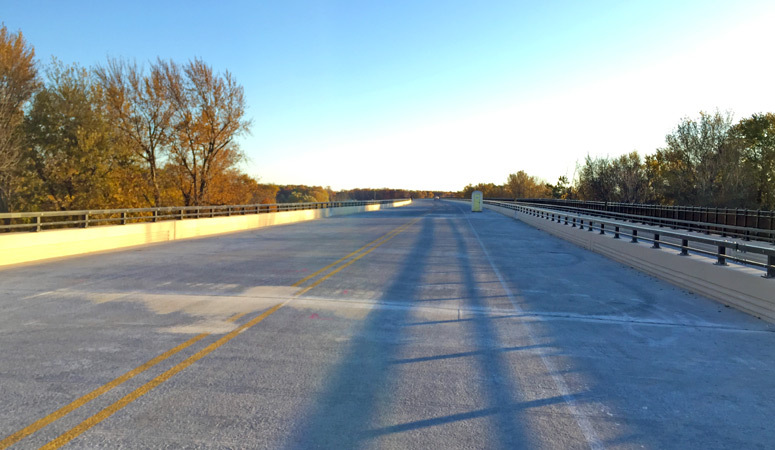 Looking upstream (east) up the Grand River from the middle of the M-213 Grand River bridge on October 25, 2015 prior to the highway opening to traffic. ©2015 Christopher J. Bessert, All Rights Reserved. 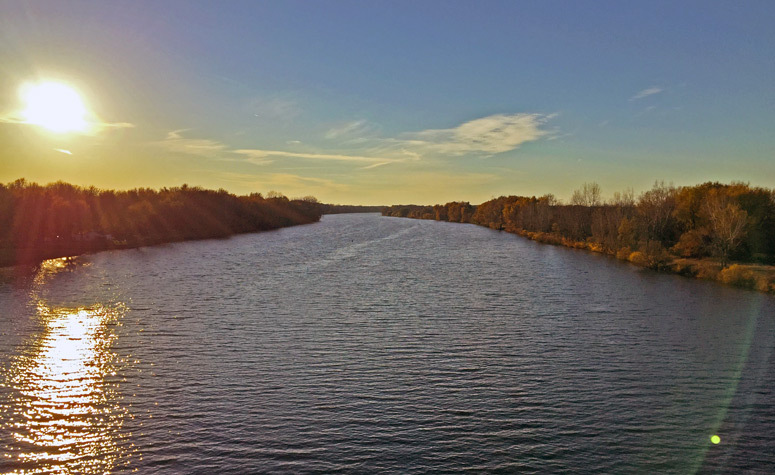 Looking downstream (west) down the Grand River (and into the sun) from the middle of the M-213 Grand River bridge on October 25, 2015 prior to the highway opening to traffic. ©2015 Christopher J. Bessert, All Rights Reserved. 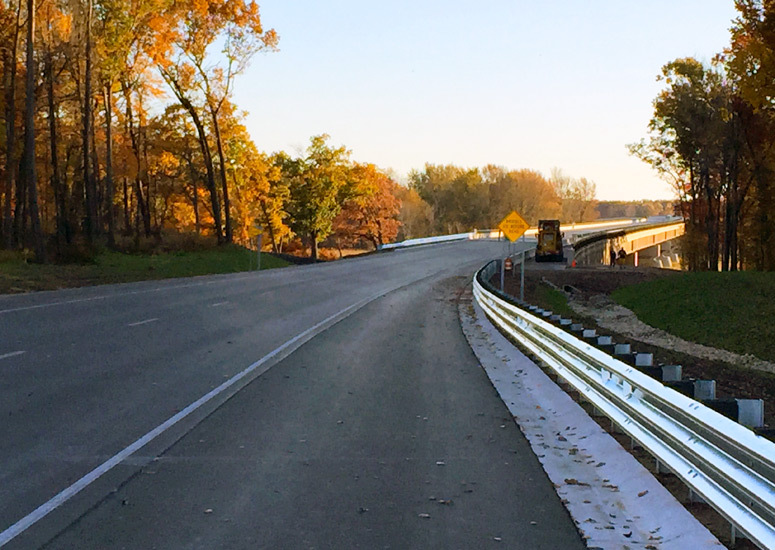 Looking southerly along M-213 between the North Cedar Dr and Sleeper St overpasses on October 25, 2015, five days before the highway opened to traffic. ©2015 Christopher J. Bessert, All Rights Reserved.